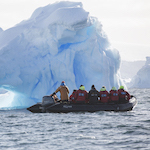 One Ocean Expeditions (OOE), a privately held, Canadian owned company prides itself on guest and client service and satisfaction. 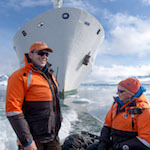 A world-leader in expedition cruising, OOE offers personalized experiences in remote destinations. With a reputation for exceptional quality, industry-leading safety standards and unparalleled value, OOE remains committed to environmental and social responsibility, supporting world-class scientific research, historical and environmental preservation and sustainment of local communities. 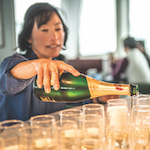 We believe in providing the best possible guest experience (which may be initiated online) from the onset of inquiry, straight through to follow up after every voyage. Our passengers’ privacy is of paramount importance to us. 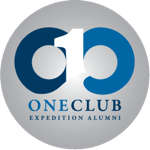 One Ocean Expeditions is a Canadian owned and operated expedition cruise specialist with a head office in British Columbia, Canada. 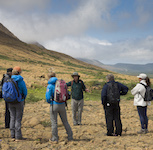 A world-leader in expedition cruising, OOE offers personalized experiences in remote destinations. With a reputation for exceptional quality, industry-leading safety standards and unparalleled value, OOE remains committed to environmental and social responsibility, supporting world-class scientific research, historical and environmental preservation and sustainment of local communities. 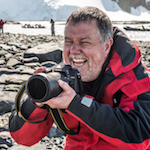 When you call us, fill out a website form, email us, or book an expedition cruise with us, all of the data relevant to your expedition cruise (or potential expedition cruise) is collected securely in our in-house database. At OOE, we use the information that is provided to us only for the reason it was collected. This personal data is stored on a secure private server and never sold, rented or shared with others except as is necessary to fulfil our expedition cruise obligations to you. This information is used to understand our guests’ needs and provide a positive and personal guest experience. 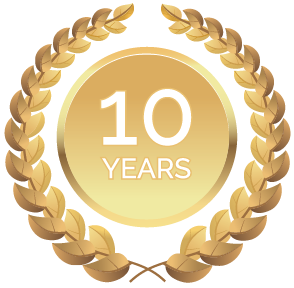 After travelling with us, your data is kept safe and secure, for up to 10 years for legal and tax purposes. We guarantee your data is stored and processed securely. Only OOE can access your personal data. We promise to never sell or rent your data to third parties. We also promise to only share your personal information when it is required to fulfil our expedition cruise obligations to you. Data submitted through our forms is accessible only by OOE. Our website developers do not process or store your personal information for any purpose, nor do they pass it on to any third parties. This policy details how data is collected and used from www.oneoceanexpeditions.com. By using our website, you are accepting these terms. We may update this policy from time to time. If we do, we will revise the updated date at the bottom of this page. We encourage users to frequently visit this page to remain informed about how we protect the personal information we collect. If you have any questions or concerns, please reach out to us using the contact information below. We care about your privacy and your experience and we will do all that we can to protect it. You have the right to request to view, edit or request the removal of your personal data from OOE at any time. For data enquiries, please use the contact details below and include your full name, email address, full address and the details of your request. In writing: One Ocean Expeditions, PO Box 801, Squamish BC, Canada V8B 0A6. Please note that this page has been written to provide you with simple and clear information. If anything is unclear, please get in touch – we welcome enquiries and feedback.